Christian von Koenigsegg launched the project Koenigsegg in 1994. Guided by Christian’s ideas, the designer David Kraaford developed important bases of construction of a new car. Having gathered afterward a team of specialists united by the general idea, they assembled the pilot model. This success allowed to found the Koenigsegg Automotive Ltd Company. 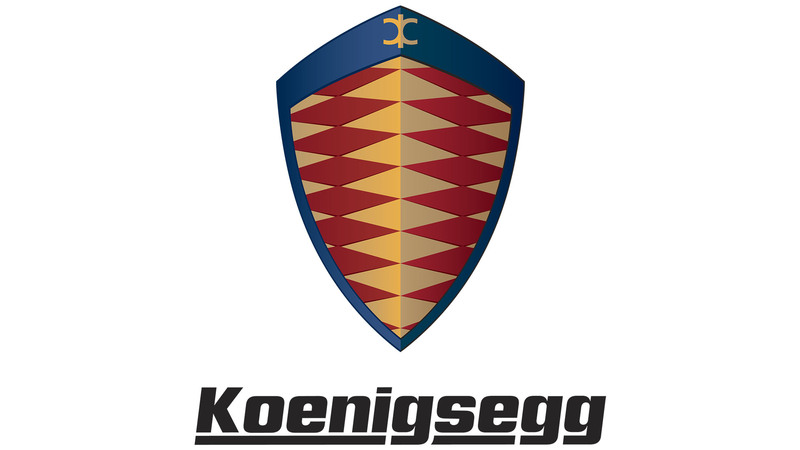 The logo of the Koenigsegg auto is the shield with margins of red and yellow rhombuses in the blue frame. It originated from an unusual ancient coat of arms of Koenigsegg’s family, which had lived in the Middle Ages in German Swabia. The original represents a single field of gold rhombuses surrounded by an ornament. Christian von Koenigsegg knows his roots up to the end of the 12th century when his ancestors became knights of the Germanic- Roman Empire. 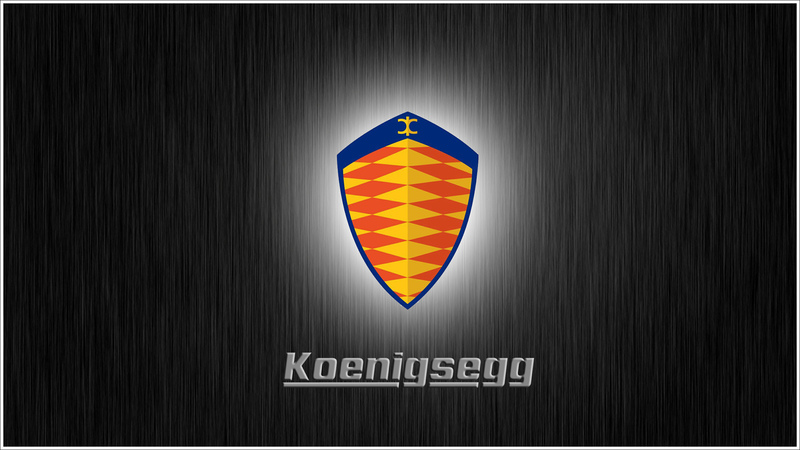 The original family coat of arms was taken as the basis for the creation of the logo Koenigsegg. 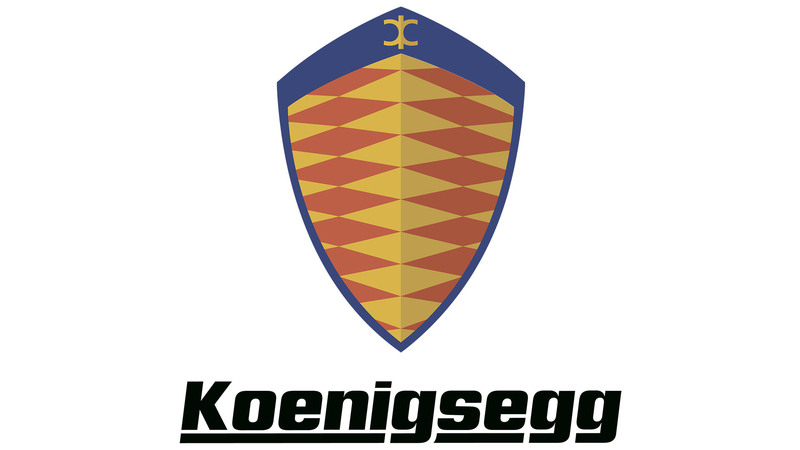 One can notice a pattern of the upper edge crowning it – a gold monogram in a blue background, consisting of letters KCC from Koenigsegg CC. Jacob Leftman, an extremely talented graphics designer, who unfortunately died in 2002, is the author of the logo Koenigsegg. Jacob was a close friend of Christian von Koenigsegg, they grew up together in the same district and studied in one school. In 2000, Koenigsegg started mass production of the model CC 8S, having proved to the entire world that the small group of enthusiasts dedicated to their business can compete against renowned manufacturers of supercars. In the spring of 2004, Koenigsegg produced the model CCR. This car allowed the company to surpass all the rest of the competing trademarks. At present, Koenigsegg is situated in the territory of a huge plant for production of fighters. 30 persons of the core staff are forming the basis of the company, besides them, if it is necessary, several specialists are additionally involved from outside. 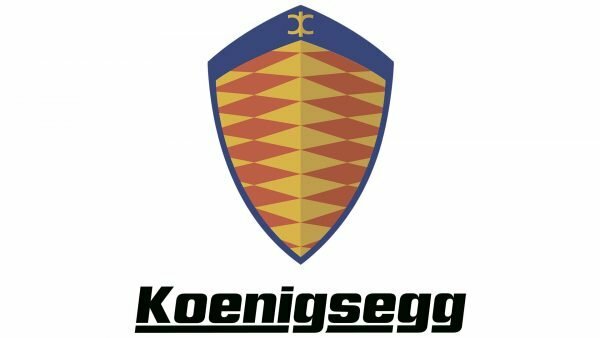 Koenigsegg is working with an extensive network of the suppliers and partners, the majority of which are located in Sweden. There are many small companies of masters making limited lots of high-quality parts among them. This motor vehicle manufacturing, as well as car assembly, are a very laborious process because the construction of a supercar includes three hundred parts and numerous panels from carbon fabrics. All the materials used in production are very expensive. It conditions the high price of cars of the Koenigsegg make. 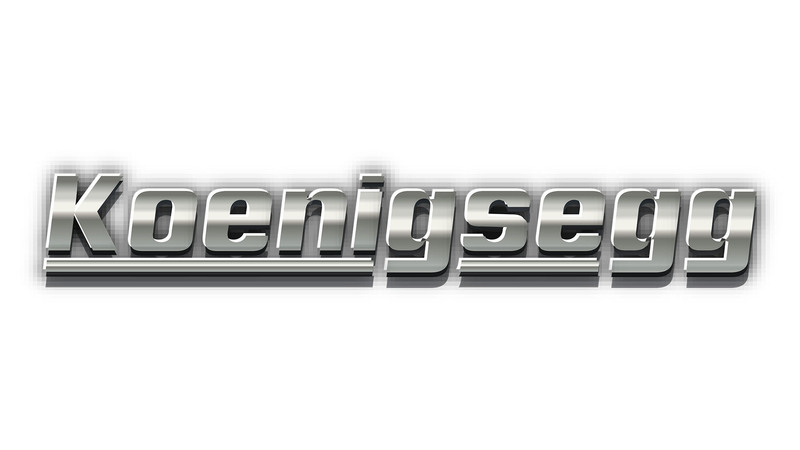 In contrast to many other car makers’ logos, the Koenigsegg symbol doesn’t include the name of the manufacturer. 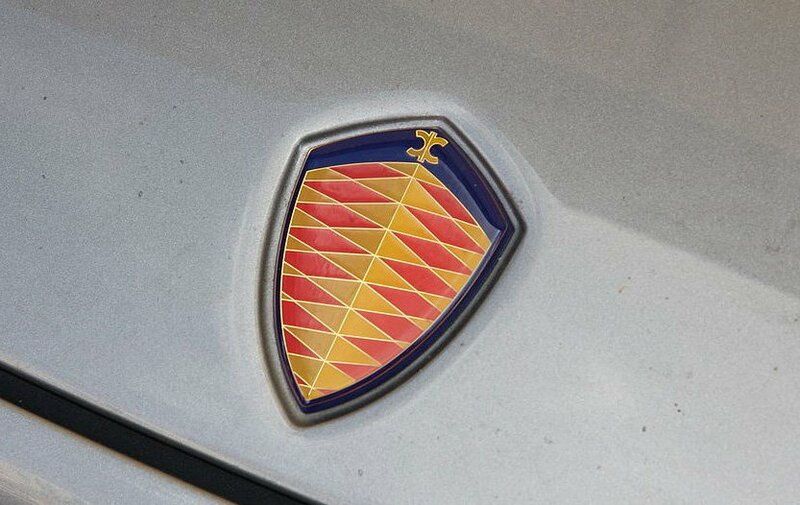 The very shape of the badge looks traditional: you probably can think of quite a few companies using a shield logo, from Porsche to Ferrari. This choice is quite reasonable, as the designer, Jacob Leftman, wanted to emphasize the fact that the logo is based on an ancient coat of arms. Yet, the logo has an absolutely modern look. 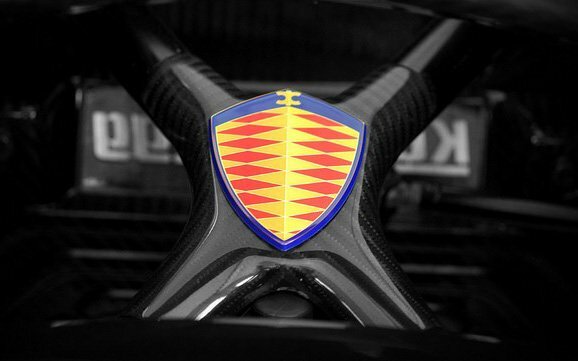 One more characteristic feature of the Koenigsegg emblem is its rather diverse color palette. Many automakers use only silver color for their badges, while others may add one more color. The creator of the Koenigsegg logo wasn’t afraid to make the symbol more vivid. The two basic colors are warm and cheerful yellow and red, while the blue color creates a visually appealing contrast.